New Zealand has a recent but burgeoning and incredibly successful history of rail trail development. While in 2010 only three rail trails were open to the public and only one allowed for longer travel opportunities, the success of the Otago Central Rail Trail prompted the creation of a federal government-funded program, the “New Zealand Cycle Trail” (NZCT). Through the development of the NZCT, Government hopes not only to provide a healthy and enjoyable way for New Zealanders and international visitors to experience the country but also to generate a range of economic, social and environmental benefits for surrounding communities. There are now 22 “Great Rides” in operation across the country, all of them achieving significant economic benefits for the local communities. The business case put to the New Zealand Government for the Queenstown Trail was that within five years of opening 20,000 to 35,000 trail tourists would visit each year. 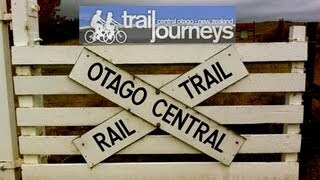 The potential was $35m in tourism revenue and was based on the Otago Central Rail Trail figures. There have been 107,000 users already in the first 9 months (as of December 2013) and the estimates of visitors per annum and economic impact are therefore going to be substantially exceeded. It has received support from the Prime Minister of New Zealand due to its importance to the region and country. Bungy adventure tourism Gibbston renovated and expanded café, put in bar, and weekend use doubled since trail opened. 53% of these businesses attribute more than 60% of their turnover to the rail trail (Otago Central Rail Trail Trust, 2005). In addition, daily expenditure per visitor rose from NZ$472 to NZ$582 between 2008 and 2011. 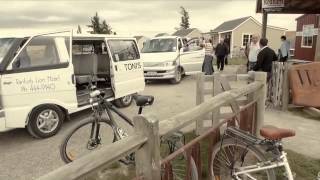 The number of visitors increased from 10,000 in 2008 to 14,000 visitors in 2011 (an increase of 40%) (Otago Central Rail Trail Working Group, 2011). A studied conducted in four newly implemented cycle trails across the country (Hauraki Rail Trail, Mountains to Sea Trail, Motu Trail and Queenstown Trail) in 2012-2013 found that the great majority of those using the trails are visitors to the areas in which the trails are located. A large proportion of survey respondents who were visitors to the cycle trail region indicated that the cycle trail was the only or main reason for their visit to the region (Hauraki Rail Trail almost 80%, Motu Trails 60% and Mountains to Sea Trail 64%). Average nights spent by survey respondents visiting the case study regions only or mainly because of the cycle trails ranged from 1.3 nights for the Motu and Hauraki Rail Trails, to 2.2 nights for the Mountains to Sea Trail and 5.2 nights for the Queenstown Trails. Respondents visiting the cycle trail regions only/mainly because of the cycle trails spent an average of between $131 and $176 per person per day (depending on the region). In addition, one in five businesses that participated in the study indicated that they had expanded since the opening of the cycle trail in their region (most often adding accommodation capacity, expanding cycle transport/shuttle services, expanding cycle hire or specialised cycle tour product, or adding other visitor activities/attractions). More than 70% of this group (or 14% of all survey participants) had expanded solely or partly because of the cycle trail. More than a third of business survey participants indicated that they had seen an increase in the number of customers served by their business, with flow‐on effects in business income/turnover and business expenditure, but also in profit. Aside from benefits to individual businesses, large proportions of survey respondents believed the cycle trails had provided health and recreational benefits for local residents, had attracted more visitors to their regions, had increased the value of tourism to their regions, had raised the profile of their regions and had had a positive effect on their local community. Importantly, many believed the trails had also attracted more visitors to the regions in their off‐peak seasons. 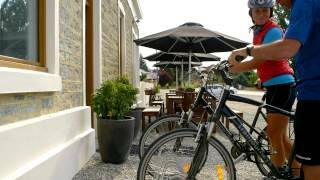 A study focused exclusively on the Hauraki Rail Trail showed that up to 14,000 cyclists pedalled the Hauraki Rail Trail in January 2014, pumping more than $1 million into the area’s economy (based on an average amount spent of $103 per rider). Numbers forecasted for the fifth year of operation of the rail trail have already been exceeded in its first year. The biggest problem now is coping with the new influx of people to the region.